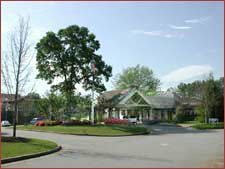 Emeritus at Skylyn Place assisted living facility has a wide range of activities for our resident’s enjoyment. We provide care that may be too much for families to handle as their loved ones progress in age. Our caring staff will assist with daily living to help residents maintain their health and live as independently as possible. Residents with all stages of memory loss are accepted. The facility offers 24-hour care, three meals per day, and transportation to appointments.